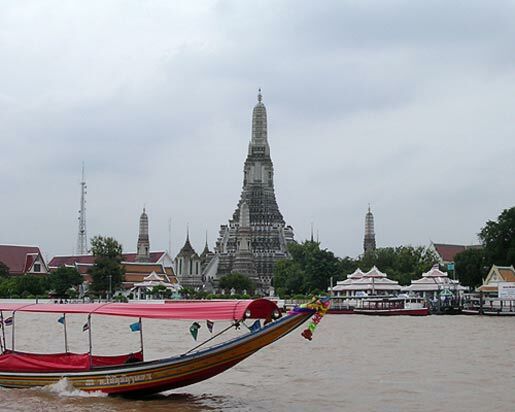 City-sightseeing tour along Ratchadumnoen Rd. (The Royal's Way). En route you can see many magnificent temples and architectural buildings, including the City Pillar Shrine, National Museum, Democracy Monument, Golden Mountain, Thai Boxing Stadium, Anantasamakhom Palace, Parliament House, Dusit Zoo and Chitlada Palace King's Residence. 14:00 hrs At the end of tour will be visit the local product store. Then tranfer to your hotel.